After a major knockdown with illness, Kay and I are finally back on our feet. We spent a great deal of time in Les Saintes, recovering from some kind of exotic flu, one we hope never to encounter again. 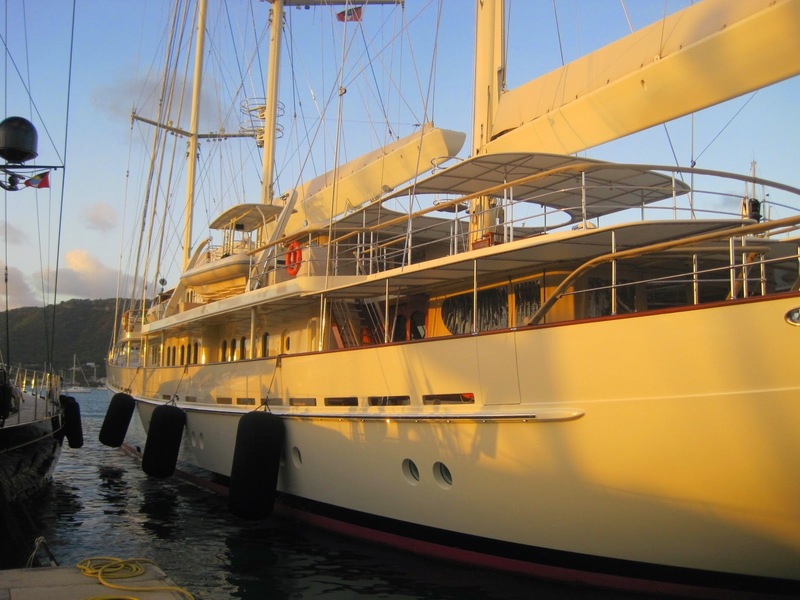 We had a brisk sail north out of Les Saintes and up the Guadeloupe coast to Pigeon Island and the Cousteau National Marine Park. It was a short dingy ride from the shore to the island where we enjoyed some of the most magnificent snorkeling we’ve had. The diversity of underwater life was staggering and we swam with barracuda, sea turtles and hundreds of fish. The coral was magnificent, colorful and healthy. From Pigeon Island we moved up to Deshaies, a pleasant seaside village on the NW coast of Guadeloupe. We hiked and relaxed before our 7-hour sail to Antigua. The voyage was good with strong tradewinds from the NW at 20-25 knots, seas averaging 10’ with 15-footers thrown in, and a 10-12 second wave interval so the ride was fairly comfortable. A minor issue we are coping with is a weather system in the Atlantic that is pounding Antigua and will continue to do so for the next 24-36 hours. The winds are consistently 25 knots, gusting to 35. This has made for an agitated sea state and nights where we sleep with one eye open. The concern of pulling our anchor in the middle of the night is never very far from our thoughts. We have anchor watch programs on our electronic devices that will alert us if we drag but the sound of the alarm is one we hope to avoid. English Harbor is steeped in history and is home to the Nelson Ship Yard, the oldest working yard in the hemisphere. While here we will visit with friends, hike, explore the different regions of the island, and complete a few boat projects. 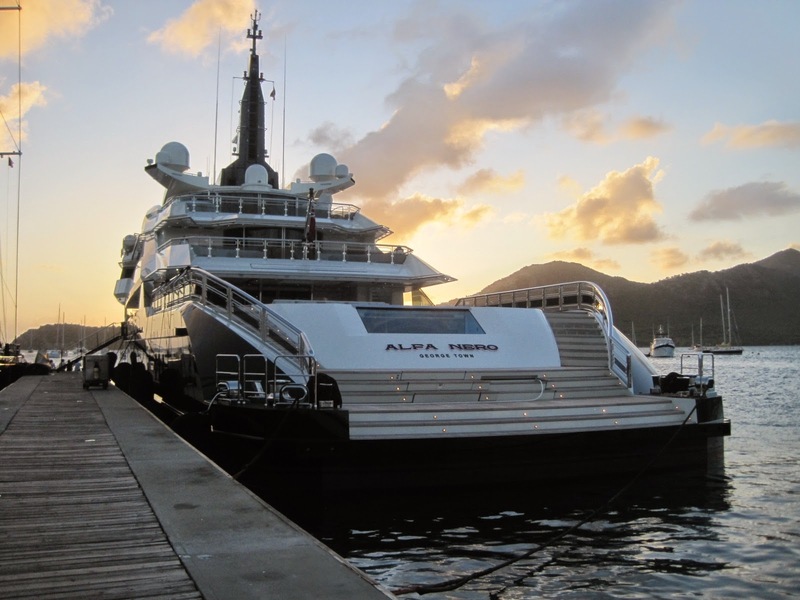 Alpha Nero - Shouldn’t every boat have 3 separate dining rooms, a gym, several pools/spas, as well as accommodations for a crew of 26? 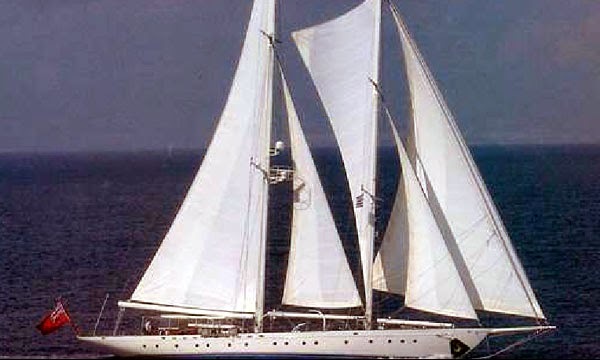 Athena – a three-masted gaff rigged schooner owned by Netscape founder James H. Clark. 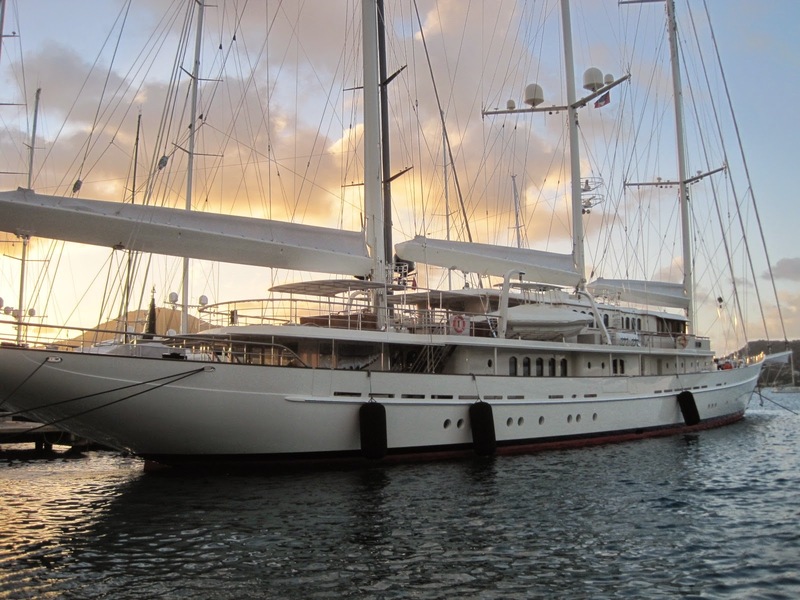 She’s for sale and- good news- the price has been reduced from $95 to $75 (that’s million). 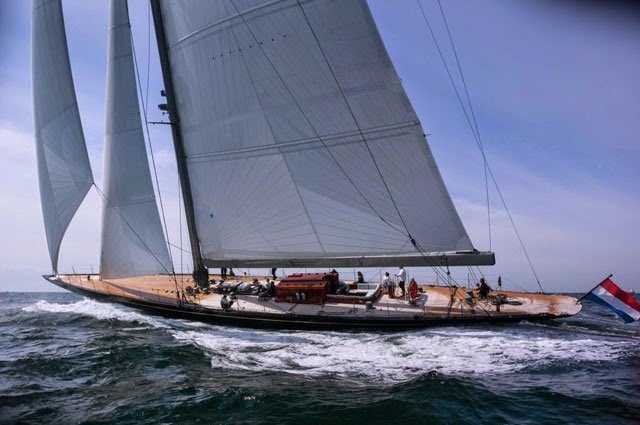 Rainbow - In May 1934, the spectacular 40 metre J Class Rainbow was launched after a mere 100 days of construction at the Herreshoff yard in Rhode Island. 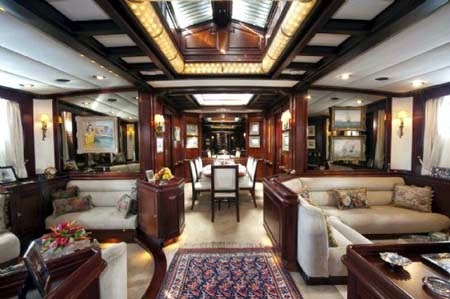 Her owner, Harold Vanderbilt, was pleased she was ready in time to defend the America’s Cup. Fast forward almost 80 years and the ‘new’ Rainbow sails the seas representing J class boats. 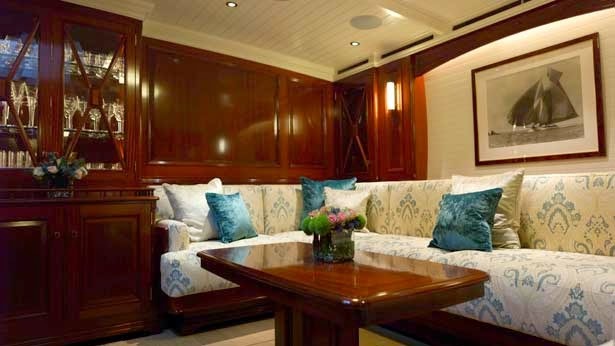 Gloria – We love admiring Pete Townshend’s gorgeous 126’ Jongert classic sailing yacht and are thankful we don’t have to maintain all that brightwork. 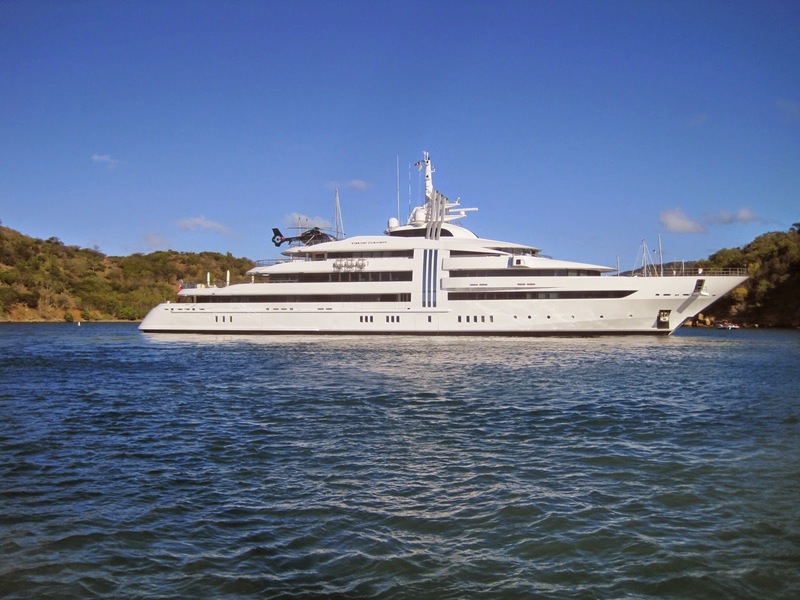 Vibrant Curiosity - Our morning coffee routine was interrupted today when this 280’ yacht insisted we hoist up our anchor and move so they could get turned around and backed into the dock. What nerve. 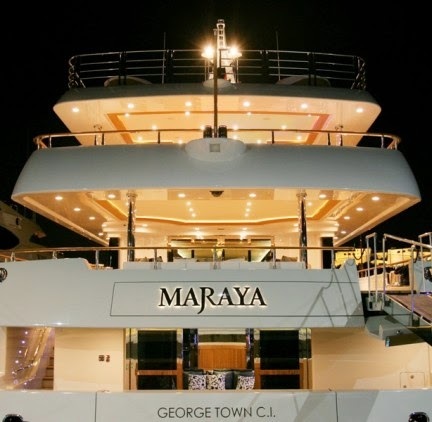 Then we learn that she is owned by a German manufacturer of screws who forced his employees to take pay cuts at the same time he purchased this boat for $100 million.